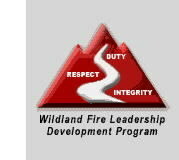 The NWCG Leadership Subcommittee, in conjunction with the National Advanced Fire and Resource Institute (NAFRI), is pleased to again offer senior-level leaders in the wildland fire service a series of opportunities for continuing leadership development through the L-580 Leadership is Action program. In July of 1863, one of the most significant "incidents" in American history occurred in the small town of Gettysburg, Pennsylvania, when two American armies collided at a crossroads. The leaders of these two armies, many of whom are now permanent fixtures in American history, faced leadership challenges surprisingly similar to those faced by today's incident managers. Using the Battlefield as a historical backdrop, the Staff Ride is facilitated by experts in leadership and incident management. The Staff Ride focuses on individual and team decision making, successful traits of senior leaders and incident management at a strategic level. This staff ride is a three day event that will be conducted during the week of May 6, 2013 at Gettysburg National Military Park in Pennsylvania. Participants experience the battlefield as part of a conference group, comprised of 10-15 individuals including assigned cadre.